Here’s a new (and growing) way criminals are stealing your debit and credit card information: skimmers. 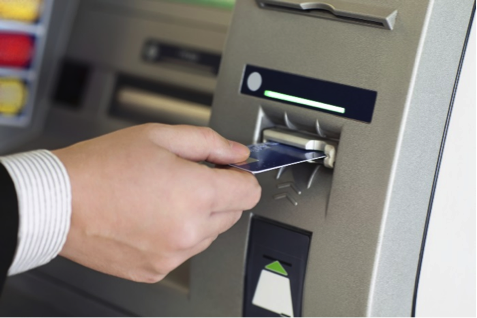 A skimmer is a device that is designed to fit over an ATM machine or gas-pump payment reader to record and steal credit card and debit card information. These devices don’t interfere with your purchase and are incredibly difficult to spot because they blend right into their environment, making the victim (you) completely unaware that you are feeding your card into the hands of a crook. Some thieves install small cameras nearby or place a fake keypad over the real one to capture PINs; and thanks to the Internet, it’s incredibly easy for criminals to purchase “make your own skimmer” kits. The best way to protect yourself is to be observant. If you notice something is a little off, like the card reader doesn’t quite match up with the rest of the machine, look into it. Thieves are counting on you to be in a hurry and your natural assumption that the gas station or ATM machine you are using is secure. At a gas station, take a look at other nearby pumps to see if they’re uniform. When in doubt, be sure to alert the attendant, who can verify the legitimacy of the card reader. If there is still doubt or no one to check with, consider moving on to the next gas station or ATM. If the neighborhood looks sketchy, the device is isolated or it’s located in a heavy-usage area, like a tourist zone, be on your guard. It can be difficult to move on when there isn’t anywhere else to go, but it’s better than getting money stolen out of your account. Additionally, avoid using a debit card when possible. While debit cards are convenient, they are tied directly to your checking or savings account. If a thief gets your debit card information along with your PIN, they’ll have direct access to your money. Many banks will work with you to restore lost funds tied to fraudulent purchases, but not all of them will; and consumers have a better chance at recovering their money than businesses do. And finally, watch your account regularly for unauthorized purchases. If a criminal sells your information, several months may pass before they compromise your account. Sign up for withdraw alerts; if something is out of place, call your bank as soon as possible. The faster you notify your bank, the better your chances are of getting your stolen funds back.